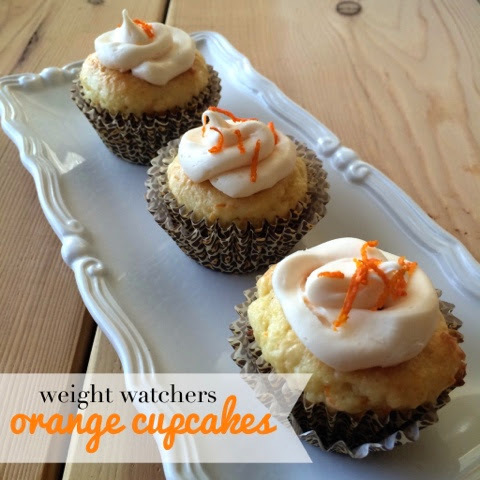 Lisa loves John: Weight Watchers Orange Cupcakes! I came across an article on Facebook which had recipes of only three ingredients... this type of cooking or baking is my style - totally easy! The original article is here. 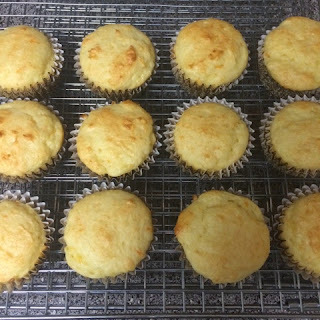 One of the recipes was for low-fat orange cupcakes, and I was shocked with how yummy they turned out. 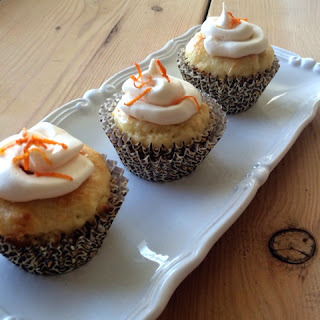 Flavorful and moist... you'd have no idea by the taste that they were different/healthier than any other cupcake! The great thing about this recipe is that it just so happened that I had all of these in my pantry already! Don't you love when that happens?? Combine all ingredients, and bake cupcakes for 15-17 minutes at 350 degrees. The batter appeared a bit thick (to me), but do not add anything extra, and they turn out perfectly. Let your cupcakes fully cool before frosting. 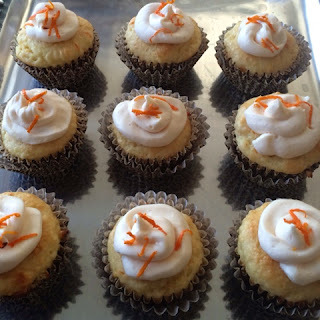 After frosting, top the cupcakes with any remaining orange zest (these taste equally great without frosting if you're looking to cut down on the calories!). These look delicious and perfect for spring!! Yum, these look really good and only three ingredients is my kind of recipe!! Oh my goodness! These looks so good!!! This is genius! I'm definitely going to be trying this! Thanks for posting it! I do Weight Watchers and these sound soo yummy!! These look amazing! I am all about recipes that only have a few ingredients. Will have to remember these! So glad I came across this recipe! 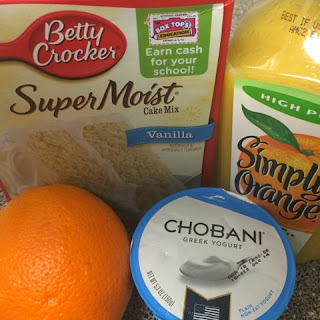 I'm such a sucker for sweets so anything a bit on the healthier side works for me + I love orange flavoring! Five on Friday: All Things Green! Tuesday Tea and Academy Award Recap! Our Weekend in Instagram Photos!